Stock seat belts are BORING. With our 30+ seat belt webbing colors, the possibilities are almost endless. 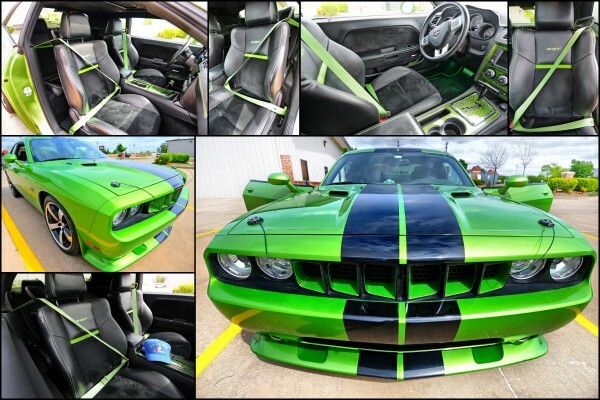 You could hate the color green yet still love this Dodge Challenger. This is what the interior looked like with the stock belts. Now with the lime green seat belts the interior looks amazing. Kudos to the owner, a Vietnam Vet, for his attention to detail.